May 5th at RHSC Baylis Myers and Finally Famous made their debut after just 3 weeks together. 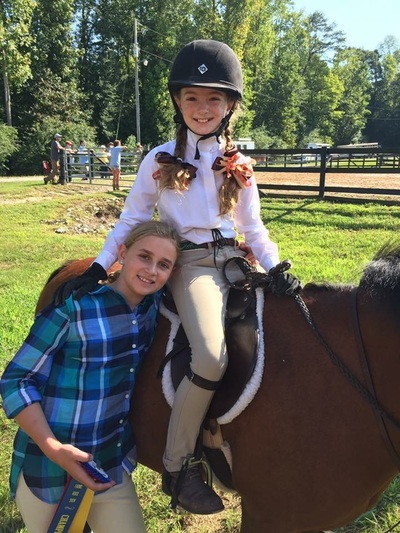 They came home with respectable ribbons in their Short Stirrup HUS and Eq on the Flat, and participated in their first Equitation on the Flat Challenge. ​May 20th was the Bolshoi Benefit, one of our favorites. We've participated in this show for the last 8 years, and each year is just a fun as the last. Baylis and Finally Famous came home with a 5th out of 9 in the SS/LS HUS and a 3rd in the Low Hunter HUS, as well as a reserve (honorable mention) in the SS/LS Eq on the flat. ​May 25th we will return back to RHSC! Congratulations to Baylis Myers on her lease of Finally Famous! After months of looking for the right pony, we found Pepper. We look forward to seeing these two continue to grow together and make there way into Short Stirrup. Thanks to Deb Gannon at My Serenity Farms for sharing Pepper with us this year. 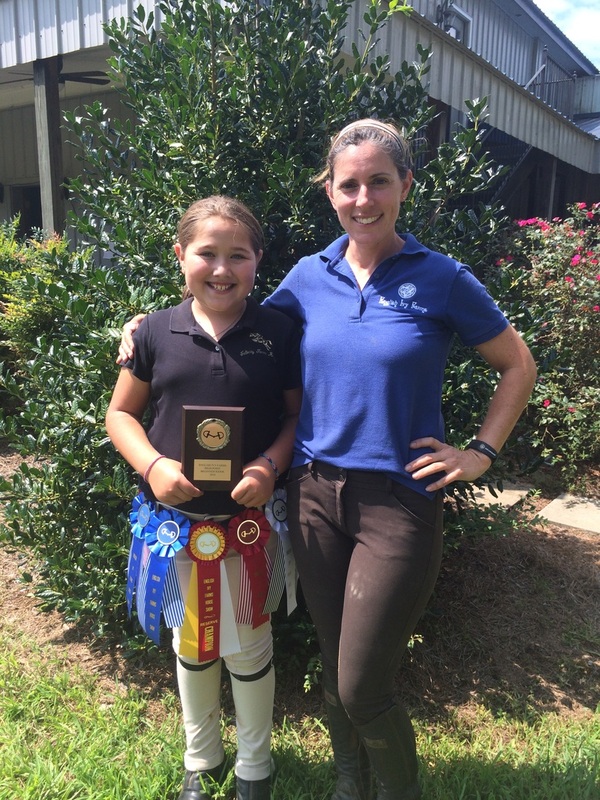 ​Congratulations to Baylis Myers for her year end awards with Elite Show Jumping. We are super proud of all her hard work over the last year, and we're impressed not by the ribbons won, but the perseverance, dedication, loyalty, and sportsmanship. It’s the willingness to put the best interest of her pony above her ambitions, and showing grace and humility (not just when she lost but also when she won). ​Here at English Ivy Farms, we would like to wish all our barn family and friends a very Happy Holidays and a wonderful New Year! ​Typical Georgia weather....warm on Friday for schooling and freezing on Saturday for showing! 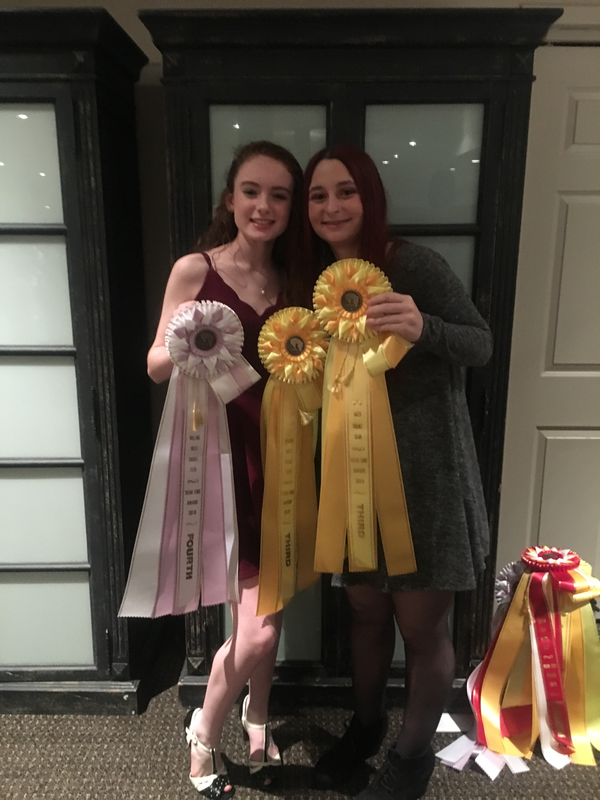 Baylis Myers and Mags finished out their final show of 2017, their last show together, and her last show in the beginner ring with a bang (literally at times!) Baylis rode strong through some tough rides, but she did so with grace and a great attitude. Congratulations on a great show season; looking forward to next year! We kicked off October with a set of formal horse portraits, courtesy of Alex Baigas of Alex Baigas Photography, and they were breathtaking! Participants included Judy Swift with Kismet, Corina Lechin with Mackey, Makenzie Cox & Celia Sayar with Roo, and Baylis Myers with both her ponies. 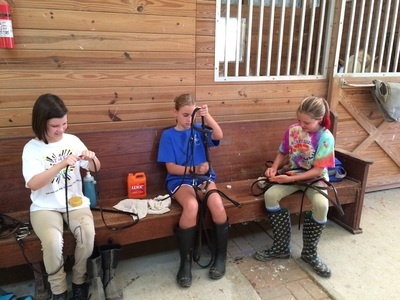 Thanks again to Mrs. Alex for making all our ponies and girls look fantastic. ​Baylis Myers Pictured with Little Scooter Roo and Glynmagic Mata Hari. EIF rider Baylis Myers also enjoyed the Brownwood Halloween Show. She and Glynmagic Mata Hari had a blast dressing up as the villainous duo Harley Quinn and Poison Ivy. They also placed 5th in Mini-Hunter Eq on the Flat & 4th in Mini-Hunter US out of ten, and had good ribbons over fences. Kate Estabrooks rode EIF's Cup of Joe beautifully and confidently in walk/trot lunge line with a first and two seconds. Great job for your first show!! 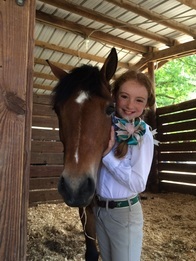 Makenzie Cox moved up to the walk/trot 1 at a time division and won two 1st and a 2nd with our one and only, Little Scooter Roo. 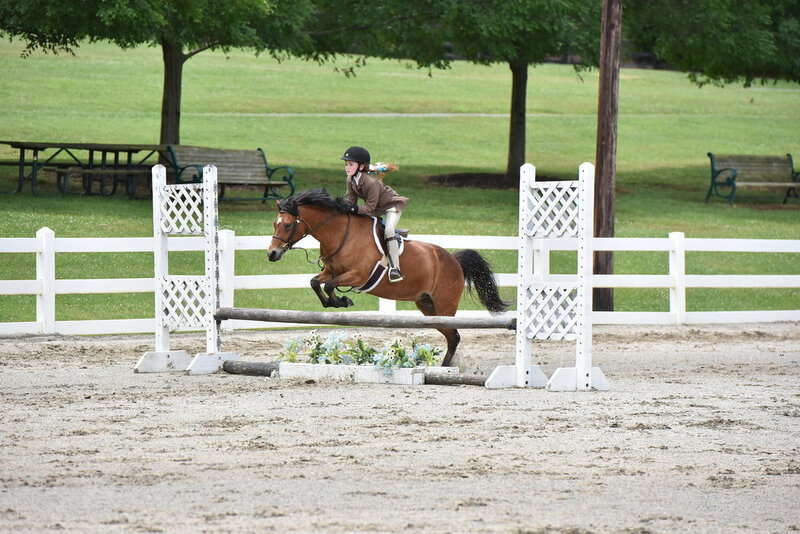 Emily Durand and EIF's Cup of Joe rose to the challenge in her new division, bringing home a 2nd, 3rd, and 4th. 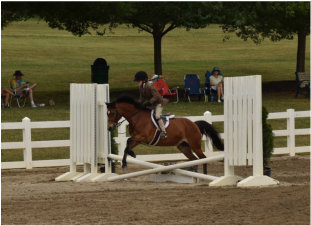 She was also just a few points shy of winning our high point beginner rider for 2017. 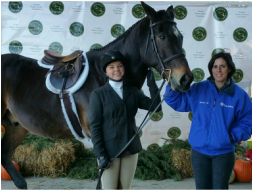 Baylis Myers showed grit and perseverance aboard Glynmagic Mata Hari, finishing out with a 1st in Schooling Hunter under saddle and 2nd in the 2017 Equitation Challenge. Corina Lechin with her horse Paint the Town, stepped in the show ring for the first time and won Champion of the Adult Walk/Trot division with two 1st and a 2nd. ​Judy Swift aboard Kismet was Reserve Champion of the Adult Walk/Trot division with a 1st, 2nd, & 3rd....not too shabby for the first show for our favorite grandma. 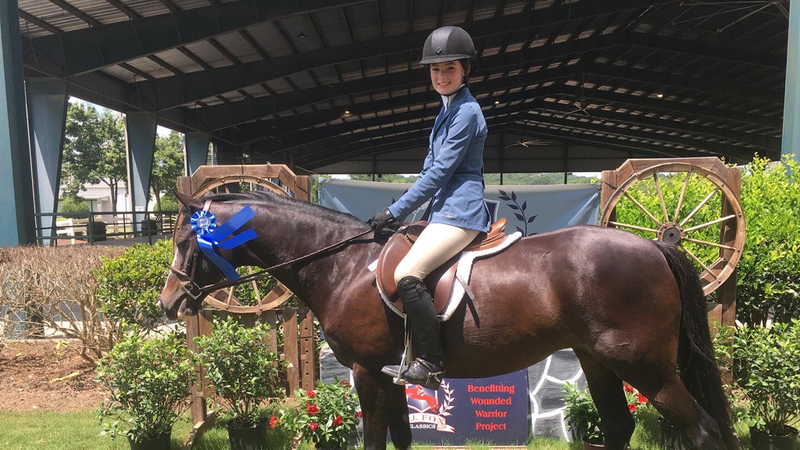 A congratulations is also in order for our Series High Point Beginner rider, Sydney Kinser (trainer Lexi Barr ), our Series High Point Hunter Rider Thomas Parker (trainer Mindy Morris) and the winner of our Equitation Challenge Sarah Kramer (trainer Mindy Morris). A huge thanks to all our helpers and volunteers for making these show possible: Rebecca Burgess in the office, Claire Starling on the mic, & Jason Myers on the grill) as well as Mitzi Ritchie for not only giving her time in the judges seat but also outside of the show encouraging and educating all our riders. We also love having Charlie Horse Tack & Saddlery on site for all those last minute needs. ​And finally a shout out to all my "Ivy Leaguers" that helped out and supported their teammates throughout the day!!! Much love to all of you. Back again at the Bolshoi Benefit, our favorite show of the year. Random fact: Kathy Jones, who puts on the Bolshoi show each year, was Maureen's trainer when she was 8 years old! 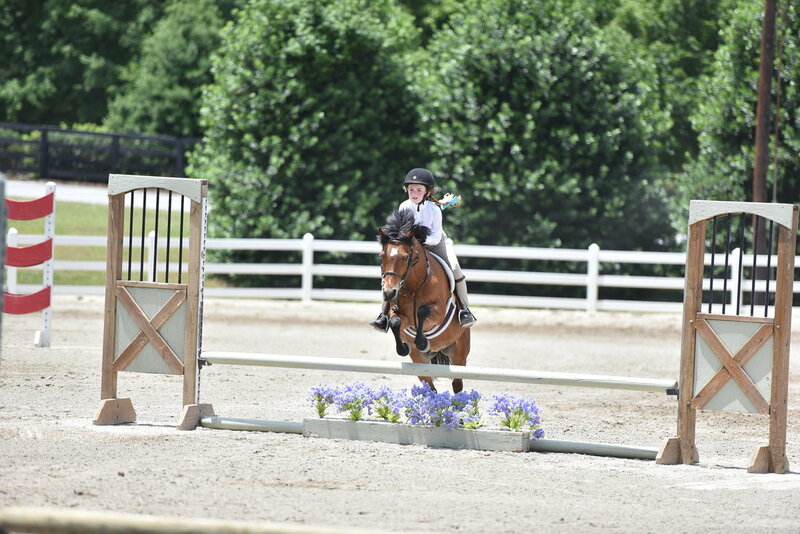 She took Maureen to Wills Park to show in cross rails and Short Stirrup! ​​Congratulations are in order to Rebecca Burgess for solid trips in the schooling hunter (we broke the curse!) 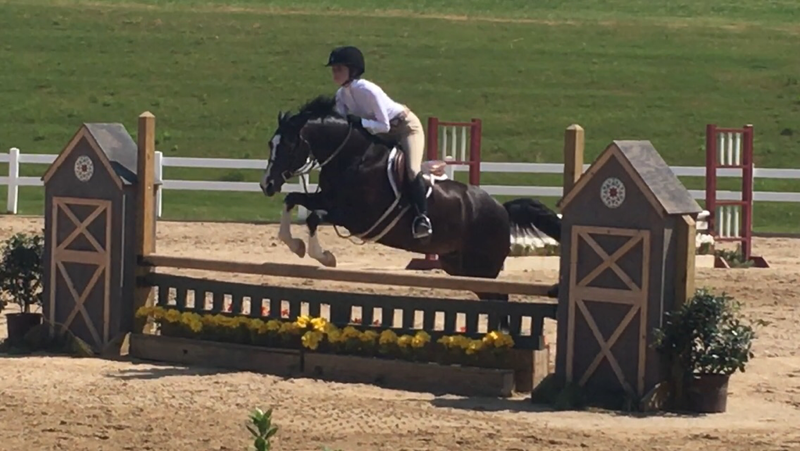 and to Baylis Myers for great rides in the Pre-Hunter 2', making great adjustments and improvements throughout their classes. Not only was there lots of good riding going on, but we had lots of laughter and smiles too. 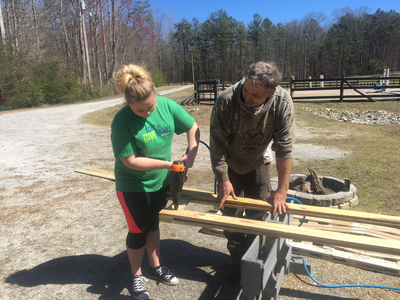 ​The Spring Break Working Student Day was small due to vacationing riders, but we got tons accomplished: mucking stalls, grooming horses, cleaning/organizing the tack room, folding barn laundry, and picking out new flowers for the flower boxes. Great job everyone! 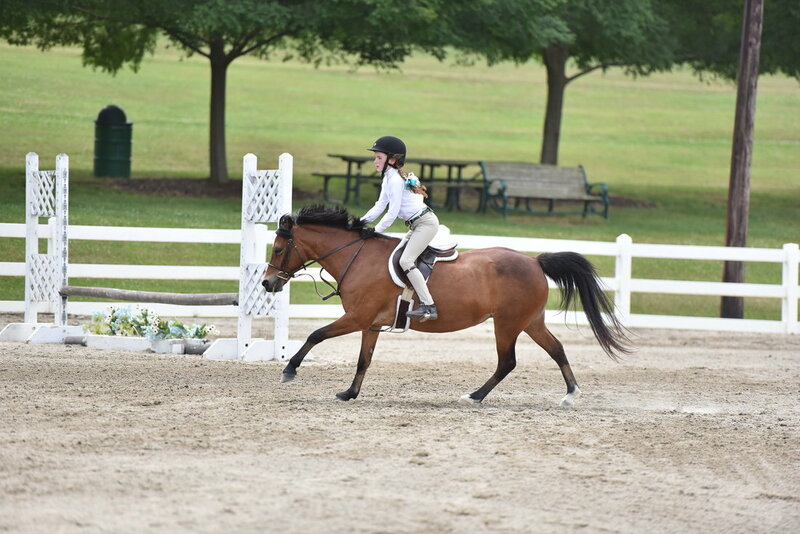 Makenzie Cox rode EIF's Cup of Joe beautifully in her lunge line division earning two 3rds and a 4th, despite being pinned with riders in the next division up and having less experience. Great work!! 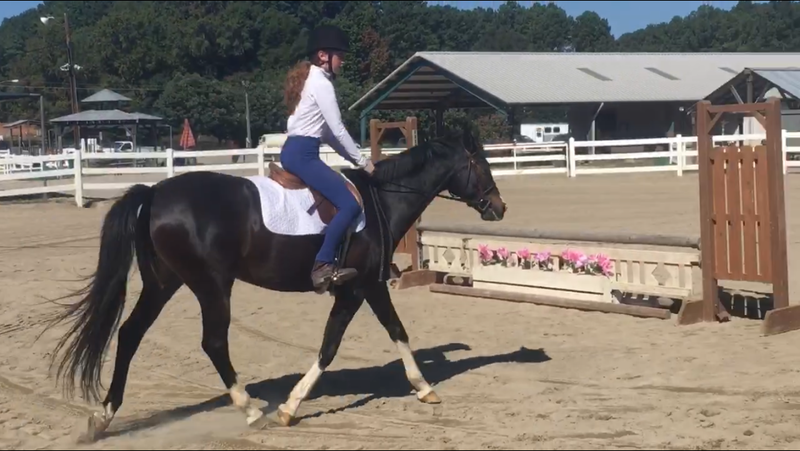 Emily Durand and EIF's Cup of Joe laid down fantastic flat work in the Walk/Trot one at a time division, winning... a 1st, and two 2nds, clinching Champion of the division. Your hard work is paying off! 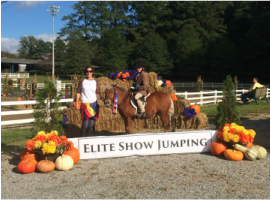 Claire Starling and EIF's Trick or Treat, along with Lilly Gladkowski on EIF's Cup of Joe, rose to the occasion in the Walk/Trot division by riding with a large group and navigating it perfectly. Claire brought home respectable ribbons with a 3rd and two 6ths, while Lilly took Reserve Champion with a 1st, 2nd, and 6th. Amazing job ladies! 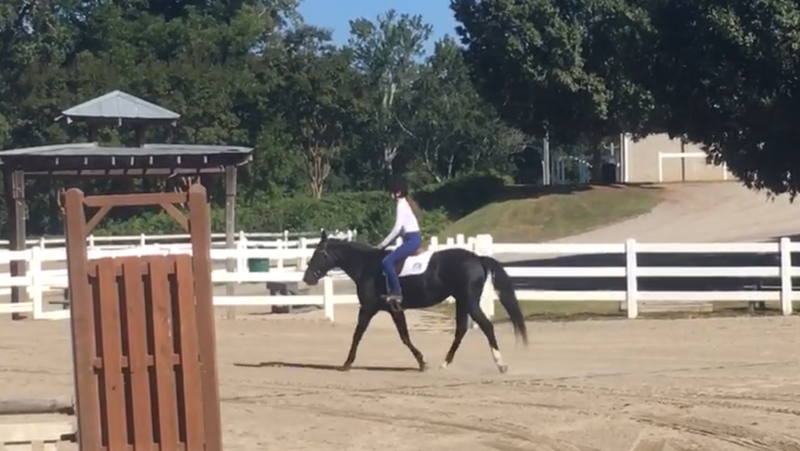 Baylis Myers moved up two divisions from last year, stepping into Schooling Hunter and Short Stirrup for the first time. And although she's got a bit of homework, she definitely dug deep to improve throughout her trips. We are very proud of your tenacity!! activity, Katie came out with two 2nds and lots of confidence. Overall it was a fantastic and fun show. Great job team EIF; can't wait to see what we can accomplish by the Fall show!! 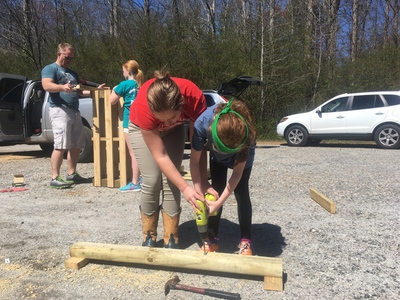 ​We had a fantastic day at our first ever Father/Daughter Jump Building Party! 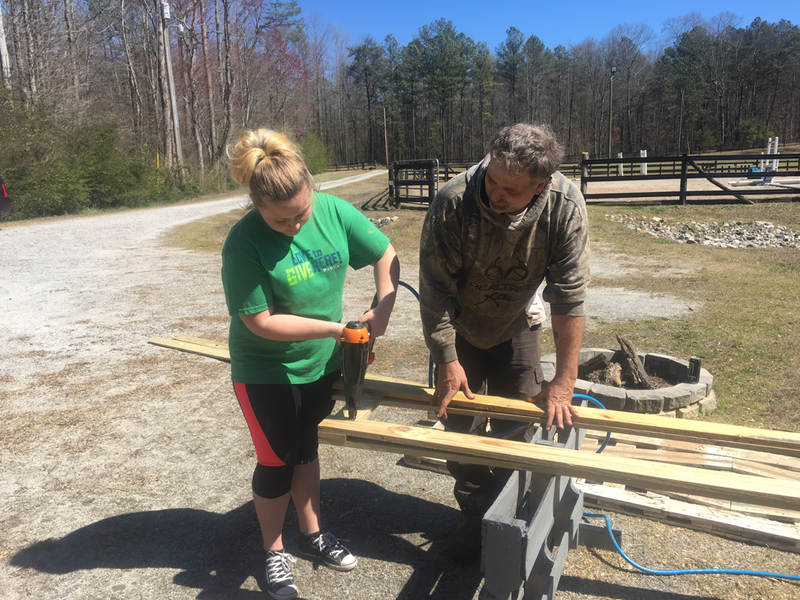 These dads and girls made quick work of our supplies and we had to go out for more! 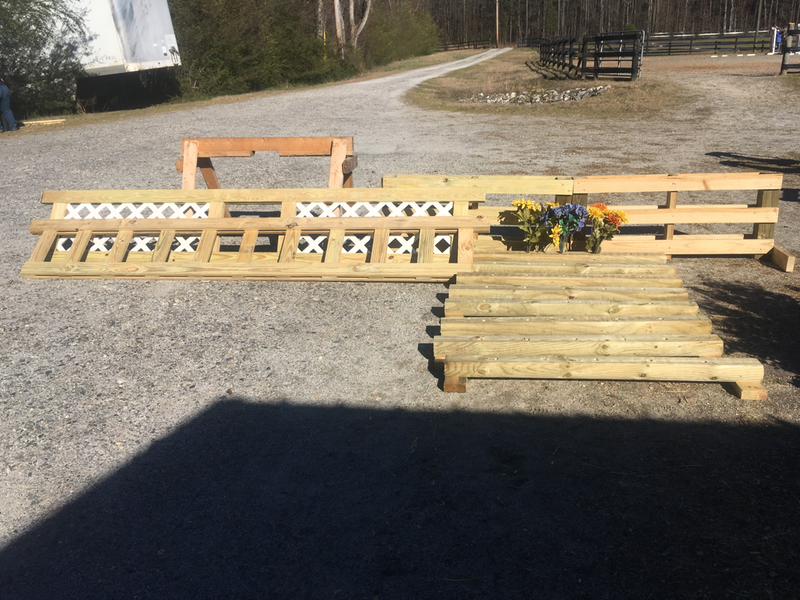 Thanks to their hard work and creativity, we made two gates, a brush box, and 8 flower boxes for our upcoming show in April. Great work everyone!! ​Happy Holidays from English Ivy Farms! 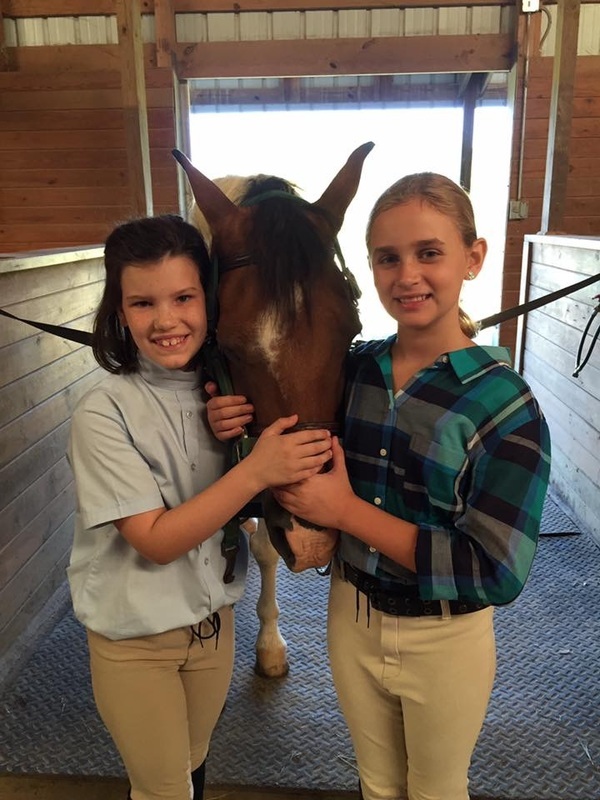 Thanks to everyone who supports our program and our passion for horses. May 2017 bring lots of learning and success, both in and out of the saddle! 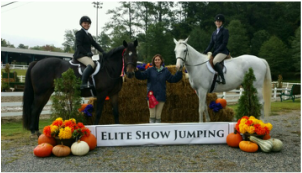 ​The Elite Show Jumping show Oct 15-16th was another great one! 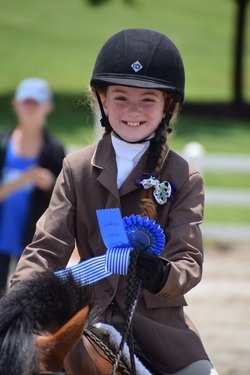 After moving up three divisions in one season, Baylis Myers & Glynmagic Mata Hari earned a well deserved blue in the Mini-Hunter Eq on the flat. We couldn't think of a better way to end our show season 2016 than with much improved over fences and amazing quality in our under saddle. We look forward to next season with our debut in Short Stirrup! ​Our annual calendar shoot was also a huge success! This year was Historical Ponies, and we had some great costumes: Roaring 20's, WWII 40's, Sock-hop 50's, Hippie 60's, 70's Disco, Valley girl 80's, and more! Can't wait to see how it all turns out!! ​September was a fantastic month at EIF. We started off the month hosting our annual "Back to School-ing" show held here at English Ivy on Sept 3rd. We had a great turn-out with many of our friends from other barns joining us again. We appreciate the support from both our barn family and our friends in other programs; you make these shows so much fun! Baylis Myers, High ribbons in Crossrail and Mini-Hunter and our Series High Point Hunter Rider for 2016. These girls have grown and improved since the last show, and their dedication and perseverance is inspiring. Great job and way to represent EIF well!! 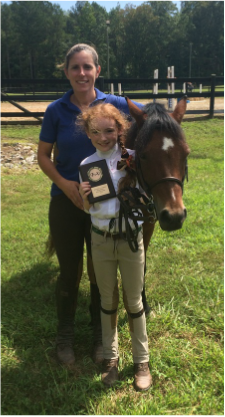 ​We also wish to congratulate Felicity Farm Rider Sarah Kramer for winning Series High Point Beginner Rider for 2016. Well done! ​We attended the Fall Cheryl & Co Show Sept 24th-25th. As usual it was a well run and enjoyable show...but boy was it still sweltering hot! Baylis Myers and Glynmagic Mata Hari showed in Crossrail & Mini-Hunter with aspiration for producing not just consistency, but quality as well. Her soft yet effectual ride was a beautiful example of our philosophy to produce a non-interfering and effective position in our riders. We could not be more proud of her hard work and commitment, and well as her passion for connection and partnership. Congratulations again on a job well done! 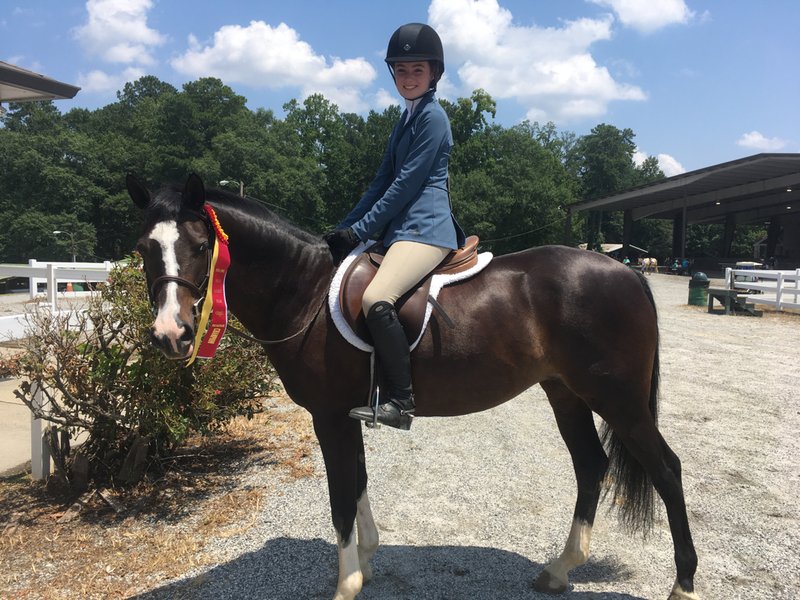 ​July's super hot temperatures kept us out of the show ring this month, so we hosted a Working Student Day on July 14th instead! Students of all ages and riding ability were invited to spend the morning at the farm to groom, bathe, clean tack, and do other barn chores. 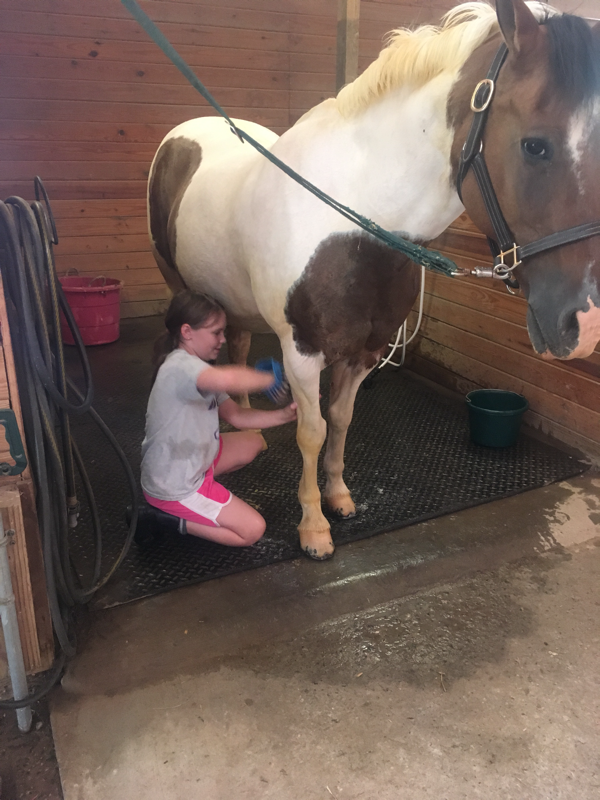 Horsemanship skills are vital to a rider's success in the saddle, and we love providing opportunities for students to learn all the aspects of riding, both in and outside of the tack. Thanks to all the students who joined us; we look forward to the next one in September! Bayroo Bows Ambassador Baylis Myers was spotted in a stunning new pair of custom bows at the Cheryl & Co Good Ol' Summertime show June 17th-19th! 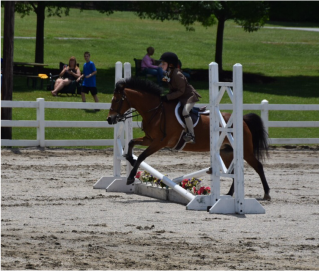 ​Baylis and Glynmagic Mata Hari moved up divisions again, debuting for the first time in a very competitive Mini-Hunter division. Thanks to Cheryl Sims for such a well run show that provides many opportunities to move up, learn, and grow! ​The Bolshoi Benefit show is always a fun and fantastic show, and we are happy to have supported this event to benefit the UGA Colic research center for more than 10 years. A huge thanks to Kathy Jones for putting on this show! ​Despite the torrential downpour, Baylis Myers & Glynmagic Mata Hari made their stellar debut in the Crossrail Equitation & Hunter divisions placing 2nd out of 12 in the Eq. 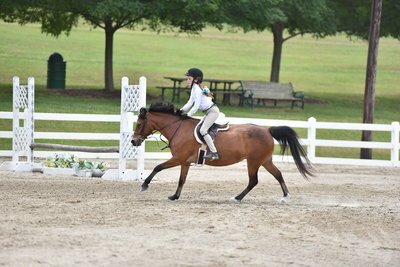 on the Flat, 2nd out of 11 in the Crossrail Hunter Under Saddle. They also earned ribbons over fences in good company. Baylis was also the winner of the TRM Crossrail Medal, her first ever equitation medal class. Congratulations on a great show!! Our 2016 show season kicked off with the Cheryl & Co show April 9-10th. Baylis Myers & Glynmagic Mata Hari made their first appearance at Wills Park, and despite unexpected cold temperatures and high winds the two continued to improve and grow as a team throughout the weekend. They finished solid in their division with high ribbons both days. April 23rd we hosted our 7th annual Springtime Schooling show with Jack Flowers as our gracious judge. The weather could not have been more perfect for a show! Congratulations to EIF rider Emily Durand for her Champion in the Walk/Trot division aboard EIF Cup of Joe, and to Baylis Myers for her Champion win in the Crossrails division with Glynmagic Mata Hari. 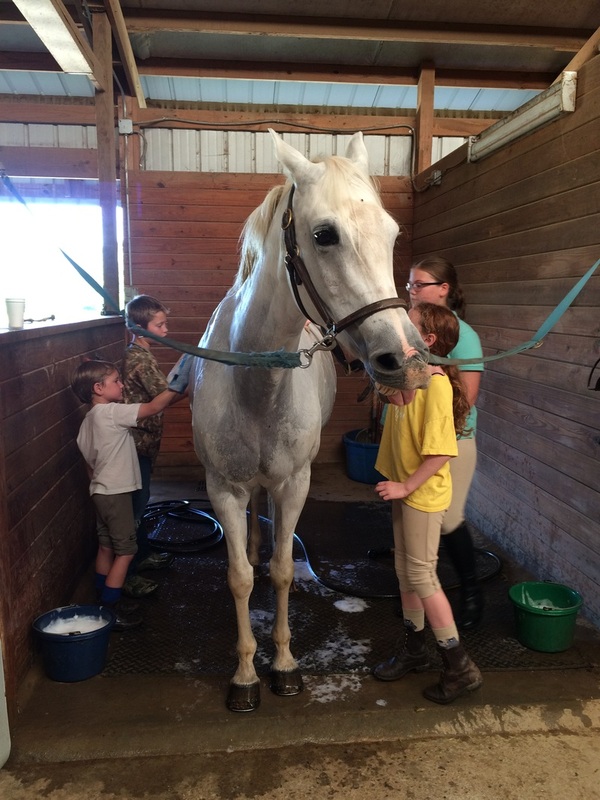 Thanks to all the riders and trainers who support our show series; we love providing schooling shows to give riders and green horses an opportunity for show mileage in a fun and relaxed environment! Our next show is Sept 3rd, 2016. ​WELCOME JULIE FERRIS! April also marked the beginning of a fantastic partnership between EIF and Studio EQ, home of Julie Ferris Art. 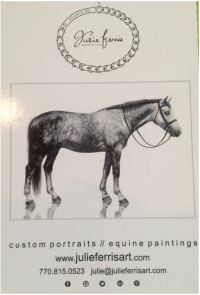 Julie is an amazing artist that combines her passion for horses, her love of riding, and her talent for capturing the true essence of a horse. 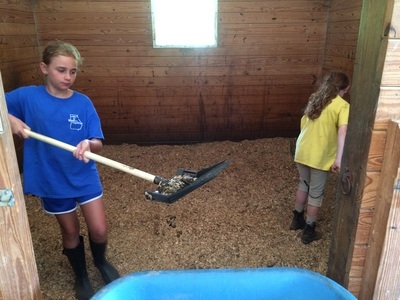 Our ponies love giving Julie inspiration as she works out of our farm apartment located above the barn. You can find her on the web at www.julieferrisart.com and on Instagram and Facebook. Congratulations to Baylis Myers on her lease of Glynmagic Mata Hari! 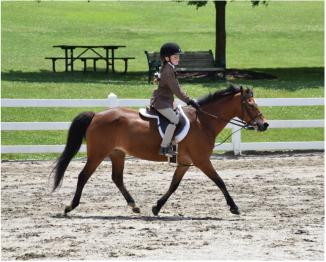 We look forward to seeing both of you in the show ring in 2016! ​Thanks to everyone who attended our annual Christmas Party; we appreciate you taking time to celebrate with us!! Baylis Myers & Little Scooter Roo at Elite Show Jumping Finals. 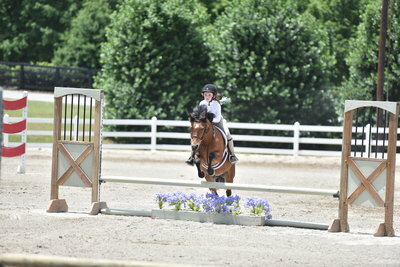 Hope Lewis & Gainsborough at GHJA Finals. ​Congratulations to Baylis Myers on her year end award with the Cheryl & Co Show Series in 2015. 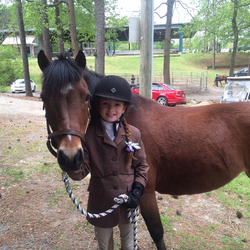 Baylis and her pony, Little Scotter Roo, were 5th overall in the Ground Poles Division. What a great way to end your time with Roo, and we look forward to your next partnership! !